Contact MC Plumbing today to schedule a Free Plumbing Estimate. Our team is available to help you for emergencies 24 hours a day, 7 days a week. MC Plumbing is a customer service oriented Plumbing Company specializing in Water Heaters in Las Vegas. 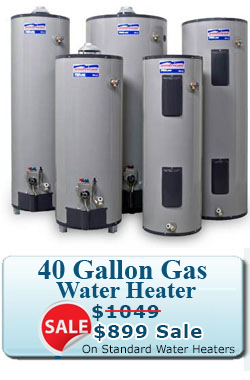 We provide same day water heater services 7 days a week. 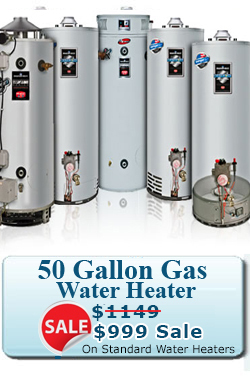 We provide Water Heater Repair, Water Heater Installation & Tankless Water Heater Services. On average a standard water heater has a life expectancy of approximately 8-15 years. Of course this all depends on some variables such as how often it is used, upkeep and maintenance and brand. However, even with a life expectancy of over a decade many things can go wrong causing a water heater to need repair within this time frame. Water Heater Repair Las Vegas is one of the core services that MC Plumbing provides. If you are experiencing any of the following problems MC Plumbing can come to your home and take a look at your water heater today to diagnose the problem and provide options for a solution. On average standard water heaters have a life expectancy of approximately 8-15 years depending on some variables such as how often it is used, upkeep and maintenance and brand. However, even with a life expectancy of over a decade many things can go wrong causing a water heater to need repair within this time frame. Water Heater Repair Las Vegas is one of the core services that MC Plumbing provides. If you are experiencing any of the following problems MC Plumbing can come to your home and take a look at your water heater Today to diagnose the problem and provide options for a solution. The above list is a good checklist for a properly functioning water heater, so if you are experiencing even 1 of the above issues it is highly recommended that you consider Water Heater Repair Las Vegas. The above issues can usually be fixed with a simple and inexpensive water heater repair, Las Vegas and Henderson are two cities that we guarantee same day service in so Call Us Today to have your water heater inspected. One of the above water heater repairs in Las Vegas this could prolong the life of your water heater by a significant time span, usually years, and save you hundreds of dollars in replacement costs! Water Heater Installation in Las Vegas is one of most requested service. This could be because we provide Free Water Heater Estimates or because we Offer the Lowest Cost Water Heater Installation in Las Vegas or because we value your time and money and will treat your accordingly. We provide new Hot Water Heater Installation in Las Vegas for only $899 and 50 Gallon Hot Water Heater Installation in Las Vegas for $999. The above considerations are important and can impact the price of a water heater installation however, for 90% of all water heaters that we install we stick strictly to our 40 & 50 Gallon Specials. Which makes us the most affordable choice for Water Heater Installation Las Vegas and all of Clark County. Fast & affordable local plumber in Las Vegas Nevada serving all of Clark County. You can always contact with us via email or phone. Get in touch with contact and free estimate form. Our team is available to help you 24 hours a day, 7 days a week.